You may have made the decision to rent a self storage unit to clear out space in your home or garage. Your home will be more livable without the clutter of those boxes of unused clothing, sports equipment and camping gear. However, packing and moving your household items can be a time-consuming task. You may feel that is a job better left for professional movers. Hiring movers can be costly. How do you know that the moving company you hire is a reputable company? Hiring the wrong moving company can cost money in the long run if some of your valuables get broken or lost in the move. If you’re looking for a mover in the yellow pages, you will likely find dozens of moving companies listed, all claiming to be the best in the industry. How do you choose the right company? Use the following tips to guide you through the process. Following the list will help to ensure that moving your belongings into storage will go smoothly. Make a list with the name of several moving companies on it. If possible get the names of movers your friends and family have used. List several things that are important to you in regards to moving, such as price, friendliness of movers, the time it took for the movers to do the work, safe package handling and overall satisfaction. Ask your friends to rate how happy they were on every aspect of the move. Only as a last resort should you choose an unknown moving company from the yellow pages. Set up a time to meet with a representative of the moving company in person to ask questions. Or ask the questions over the phone. Write up a list of questions ahead of time to ask each moving company. Keep a list on notebook paper of the questions you asked, and rate how satisfied you were with the answers. Ask each moving company if they are licensed bonded and insured. Get a copy of some sort of documentation stating this. Uninsured movers may be cheaper up front, but the overall cost in the long run may be daunting, if something breaks. Check to see if they have a registration number with the Federal Motor Carrier Safety Administration (FMCSA). This registration number is referred to as a USDOT (United States Department of Transportation) number. The FMCSA is responsible for monitoring and enforcing compliance with safety and commerce issues. The FCSA governs safety and financial responsibility. Local movers who do not transport out of state might not be registered. Ask if they are registered members of the better business bureau (BBB). The BBB sets comprehensive standards of best business practices. They monitor companies continued compliance in how well they treat their customers. See if any customers have registered complaints against the movers with the BBB. Ask the moving company if they have any unresolved complaints or insurance claims against them. A reputable company will keep a list of complaints they have had against them. They should be able to supply you with this list upon request. You will want to know if the claim was resolved to the client's satisfaction. Ask for more detail on open and unresolved claims. It can be a major red flag when the company does not supply this list. Always ask each moving company for a list of references. Be sure to call the references. Just because the company has a reference list does not mean that it is up to date. If you call the references and the people on the list used the movers more than a year ago this might be a red flag. Reference lists should be kept up to date. If the list is over a year old, find out what has happened in the last year. Has the company changed ownership or changed movers? Perhaps a year ago they had a group of movers who were highly experienced and efficient, but have since moved on in their careers. The company may have a new and inexperienced moving crew. Check to see how much experience each individual mover has had in moving and how much training they have each received. Find out if the movers are employees of the company or if they were hired through a temp agency or by some other means. Ask what type of background checks have been done on the employees. These movers will be inside your home and handling your belongings. You have the right to know if the movers have ever been convicted of a crime such as theft or vandalism. Not all moving companies do these checks because customers seldom ask for them. Ask about their average size jobs. If you have an unusually large amount of items to be moved, are your movers experienced in handling big moves? If you have appliances, oversized furniture or a grand piano, are they experienced in moving these items? Find out what the company specializes in, if they specialize in moving large office equipment and you have antique wood furniture, these might not be the right movers for you. 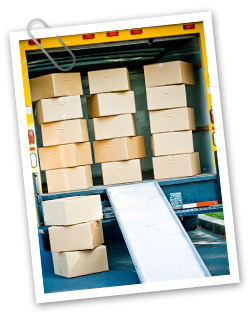 Get an exact quote on how much you will be charged, such as a per hour fee for local moves. When possible ask for a representative of the company to come take a look at how much stuff you have. Seeing your items in person will give the company representative a better idea of how much time it will take to move your belongings. Many moving companies will advertise in their yellow page ad that they offer this service for free. Offering this free service helps them to stay ahead of the competition. Long distance moves may be calculated according to hourly rates and weight; these rates should not change. Don't go with a moving company that charges their rate in cubic feet. Get the estimate in writing. The estimate should show line by line what each charge is for. The estimate must be signed Agree to a method of payment. Most movers will require you to pay in full the day of the move. Others will let you pay ½ now and ½ later. Know how much time you have to pay off the cost of the move, this will depend in the total cost of the move. Save yourself some expense by weeding through your belongings to see which ones really need to be placed in your self storage unit, or which ones can be donated or thrown away. See what forms of payment they will accept. Can you pay with a personal or company check? Do they accept all major credit cards and charge cards? Or do they deal only in cash? Find out if the company does the work themselves or subcontract out to another company. If they subcontract out, find out what company they use. This information will be readily available and contact that company with the same list of questions. Ask if there are any additional fees that might get tacked on later. Additional fees might be for stairs (flight charges), or for long carry charges (carrying the packages by hand). Some companies ask for additional fees for awkward sized packages. Try to keep packed boxes below 50 pounds to avoid additional fees. Find out if your items will be transferred to another truck. During a long distance move it is possible that your items could be transferred to another truck or even to another company. Ask what the policy is on this. Try to avoid using a company that will transfer your belongings to another truck or company. This will increase the likelihood that something could go wrong. Items get lost or broken during transfers. Ask detailed questions about the insurance. You will typically purchase insurance from the mover at an additional cost. Be aware that you will likely not be insured for the true value of your belongings. This type of insurance is usually based on property weight, not value. Check with your home owner’s insurance company to see if they offer additional coverage during moves. If the company you chose will be packing your individual items into boxes and prepping them for storage, see what methods and materials they use. Do they shrink-wrap your sofa and other furniture? Keep an inventory of all of your items. Make sure that all of your boxes and packages are clearly labeled. Ask how the items will be arranged in your self storage unit. Asking these questions will help ensure that your valuables will be protected during their move to your self storage unit.